I have a QR code that I took a screenshot of as well, I assume that is my physical wallet? I would download a litecoin wallet, overwrite the wallet.dat that's in there with your old one and wait for it to sync up, and there's your coins. Unless you're living in a place where electricity costs 1000% more than everyone else, that statement just is not true. The equipment pays itself off in a few months using multi-algo pool mining, add an extra week in there to cover electricity cost over that period and you're profitable from then on out. I've made about 250-270 bucks (equivalent in btc) since the beginning of August, and I've had equipment downtime due to hardware upgrades and a processor change (thermal paste set in period). Mid way through Oct all the equipment I purchased this year will have earned its keep. Like I said, the information was based on my buddy....who could have just been an idiot and didn't set something up correctly. I really want to try mining, as I have several laptops with decent gpu, as well as two desktops I could use as CPU miners...but I know very little about getting this going. So I am trying to learn. join us in discord ( Discord ) and ask whatev, someone should be able to tell you if your hardware is worth the cost of mining on. Last edited by HumDumpin; 09-03-2017 at 08:14.. 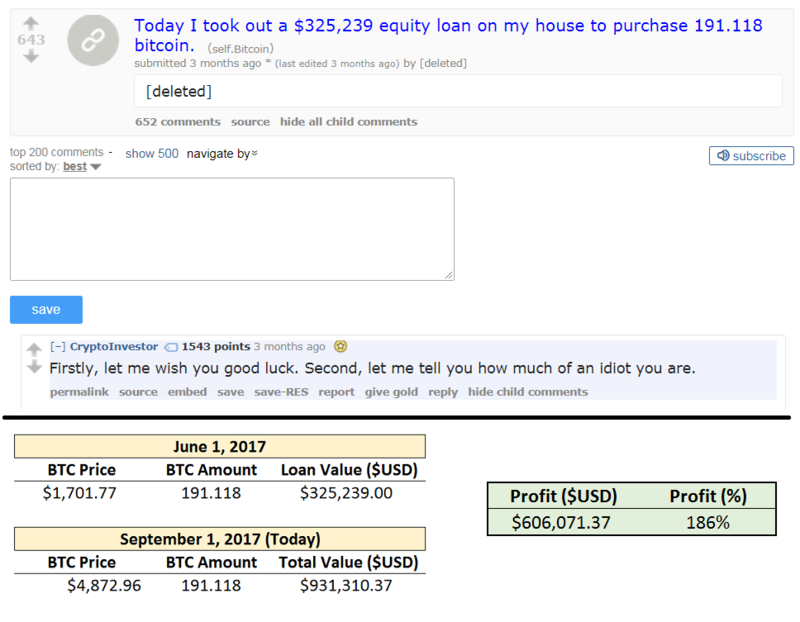 I SOLD MY ****IN' HOUSE, CAR, AND LIQUIDATED MY RETIREMENT ACCOUNTS TO BUY BITCOINS IN 2014 AND THE MARKET ****IN' CRASHED AND I LOST EVERYTHING! BUT I'M BACK ON THAT TRAIN RIDING IT HARD AND HOPING FOR THE BEST. I'M DOWN TO ABOUT 5 PINTS OF BLOOD AND I'M FEELIN' REAL ****IN' WOOZY MOST OF THE TIME BUT I KNOW I CAN GET ENOUGH CASH TO MAKE THIS HAPPEN! I'LL BE RICH OFF THIS **** SOON ENOUGH! Might be time to put the CAD workstations at work to something useful for a change. Did you guys see that user of Pirate Bay may have their CPU used to mine? I love this world. Last edited by Brasstax; 09-17-2017 at 03:05..
Can you mine these things without internet access? Or without permanent access at least?